The future of STEM is here: Meet Lafayette’s innovators in science, technology, engineering, and mathematics. They are creative thinkers and persistent problem-solvers whose contributions are vital in helping us navigate the challenges of our ever-changing and complex world. Here are their stories. The genetic testing company 23andMe can reveal details about your ancestry, genealogy, and if you have an increased genetic risk of developing certain diseases. The consumer test does not reveal information about stroke risk. 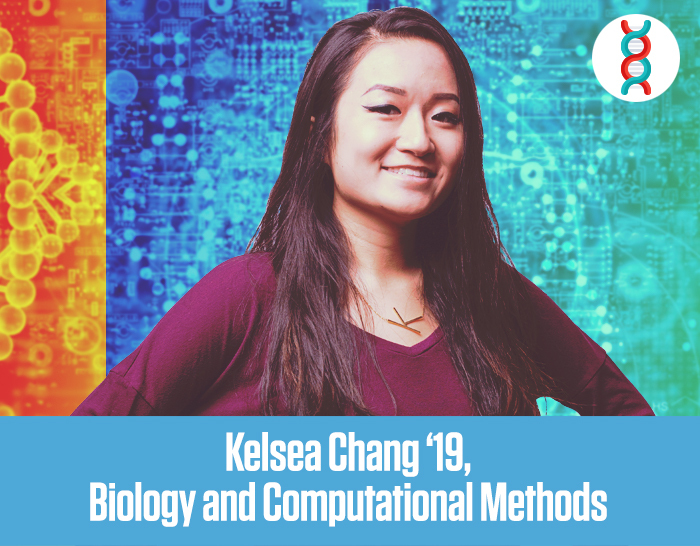 The research Kelsea Chang ’19 is doing with her adviser, Eric Ho, assistant professor of biology, could one day change that. Chang is combining her lifelong love for biology with her newly acquired computer science skills to uncover genetic variations that can predict someone’s risk of suffering a stroke. She started the project as a summer EXCEL Scholar, and she’s continuing her research for her senior honors thesis. The genetic link to stroke could be of particular value to those seeking to understand why young people suffer from strokes. Older victims tend to have health-related risk factors, like diabetes and cardiovascular disease. It’s possibly more likely that younger people are genetically predisposed. For his part, Cohen’s work organizing Lafayette Forum on Technology and the Liberal Arts has further amplified that message. The forum is just one vehicle to bring speakers to campus from around the world who embody the creative and interdisciplinary nature of technologies as they relate to broader social issues. Course offerings are another vehicle for that mindset. In some specific classes, like Sustainable Solutions and Technology and Nature, students come from a wide range of majors to create intellectual diversity in the classroom. 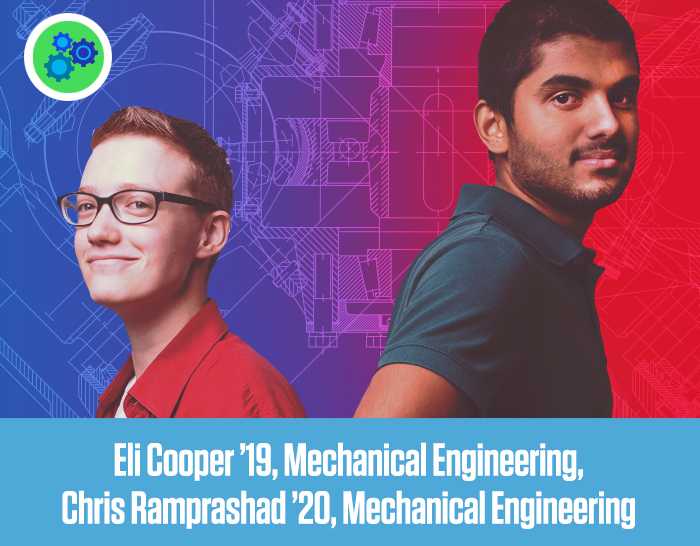 When the Grinch slides down a chimney in Whoville, he’s counting on engineers with strong theater backgrounds, like Eli Cooper ’19 and Chris Ramprashad ’20, to make sure his nefarious operations go smoothly. As the inaugural Theater Technology and Engineering Fellows, a new program to support interdisciplinary collaboration between engineering and the arts, Cooper and Ramprashad (both mechanical engineering majors and active in tech theater for years) are strengthening their appreciation of the close connections between science and theater set design. 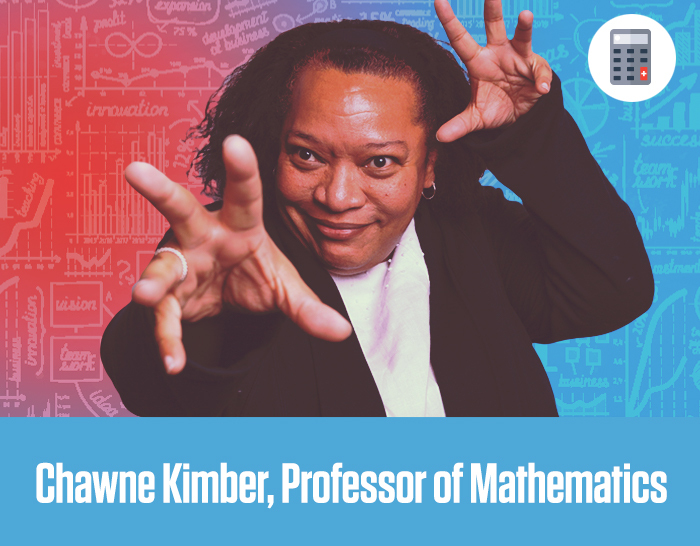 Chawne Kimber, professor of mathematics, knows attracting more women and minorities into science, technology, engineering, and math fields is only part of the equation. Efforts to diversify STEM are only successful if new recruits are welcomed into an inclusive culture, an environment that provides equal opportunities for all to learn and thrive. Kimber has been a champion of inclusivity long before it became a buzzword. Her Summer Program to Advance Leadership (SPAL) is just one example. For the past nine years, she has led this six-week program for incoming first-year students from underrepresented groups. Coming to campus early gives them a jump start on classes, familiarizes them with the campus, and enables them to engage with Gateway Career Center. Kimber extends ongoing guidance and support over their four years. As valuable as individual programs like SPAL are, Kimber knows there is power in numbers. She has teamed up with a group of interdisciplinary faculty members to create the College’s Inclusive STEM initiative. Their goals are to shift the demographics in STEM classes, create a more inclusive environment for both students and faculty members, and conduct research about the process along the way so they can develop a better understanding of STEM culture. “We are not only focusing on students, but also faculty, recognizing specific needs there,” she says. Kimber has played an active role in developing a group for non-male faculty in STEM fields (called Minerva) as well as a group for male faculty members (Allies) who are committed to supporting their colleagues. 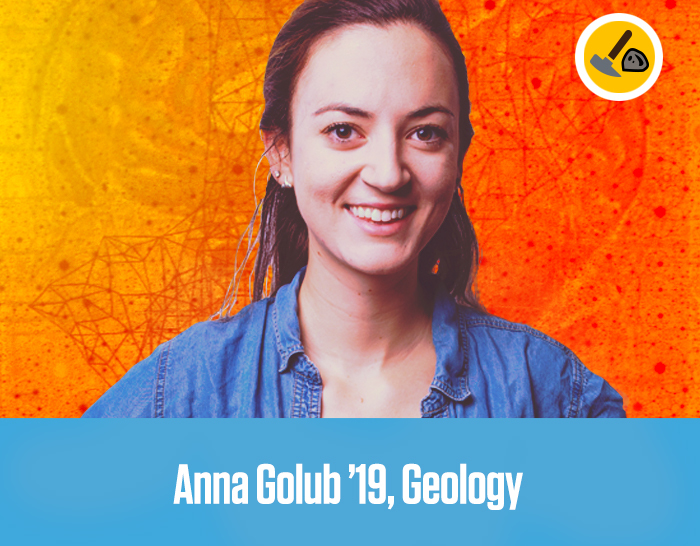 The world needs problem solvers, and Golub is gathering as much knowledge and experience as she can to be someone who can contribute scientific solutions. She spent the 2018 spring semester participating in SEA, an internationally renowned study-abroad environmental studies program. After six weeks of oceanographic research work in Woods Hole, Mass., Golub set sail for a “totally immersive” six-week experience aboard a research vessel in the Atlantic where she conducted research on sargassum seaweed, a habitat for many forms of marine life. Shortly after that program concluded, Golub set off for Colorado, where she spent five months working at Florissant Fossil Beds National Monument. There, she started analyzing fossilized leaves from 35 million years ago—research she is continuing back on campus now as her senior thesis. The immune system has a complicated relationship with cancer. Sometimes, it fights it. Sometimes, it misses it completely. Other times, it can contribute to the cancer metastasizing and spreading. To better understand the immune system’s response to cancer, Bob Kurt, professor of biology, studies cell signaling, the process in which cells respond to their environment and make a decision to proliferate or die. Working alone, Kurt could uncover the signaling process that occurs in one protein of a cell at a time. But that would only reveal a small piece of the big puzzle, and it would take several years. 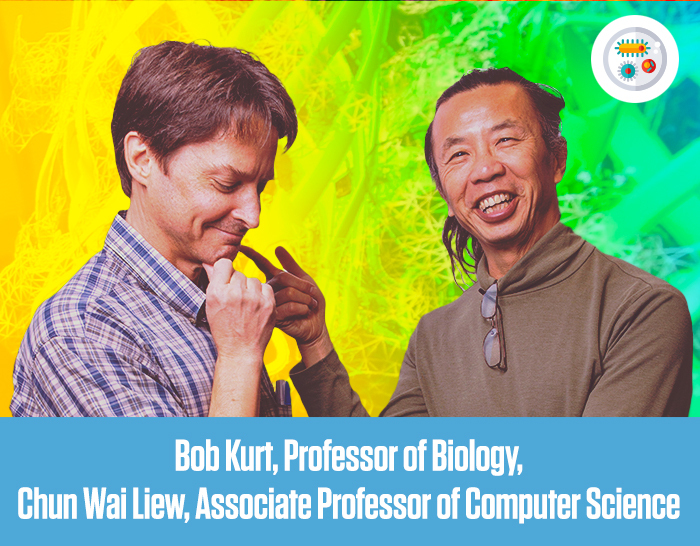 Thanks to a collaboration with Chun Wai Liew, associate professor of computer science, Kurt has been able to fast-track his research. 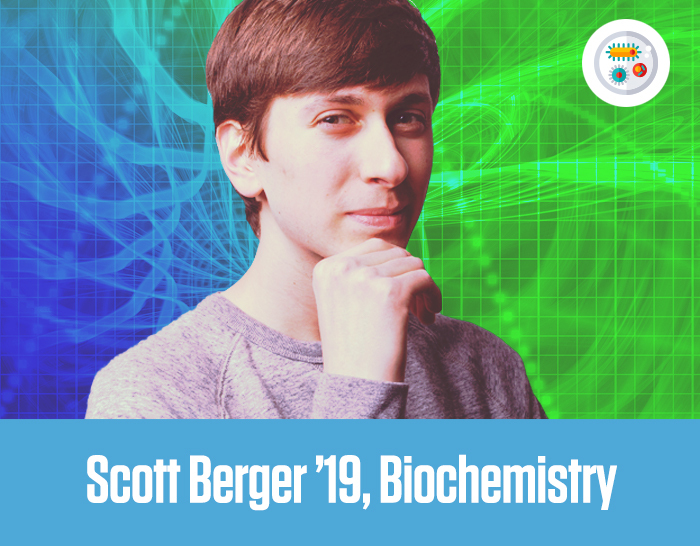 Biochemistry major Scott Berger ’19 has been working for almost three years with Justin Hines, associate professor of chemistry, to understand the mysterious process of how proteins fold. By studying how the strings of amino acids fold and what final structure they are likely to take, researchers can develop predictive tools that can have broad implications for improving human health. Cataracts, Alzheimer’s, and Parkinson’s, for example, are protein-folding problems. 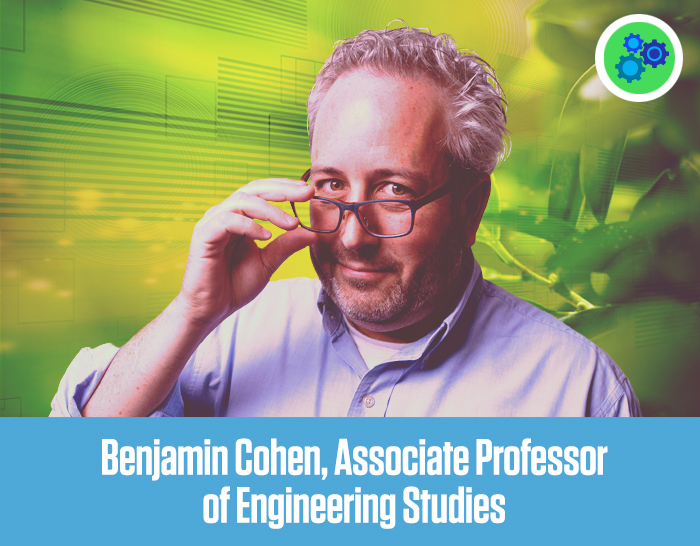 Berger conducted publishable research this past summer at University of Wisconsin-Madison to characterize the interactions between proteins that are associated with the ribosome, the molecular structure that’s responsible for production of protein in all cells. Alongside Hines, Berger is also researching “prions” in yeast, another example of misfolded proteins that’s highly connected to diseases such as Alzheimer’s and Parkinson’s. They published a paper together last spring in the journal Molecular Microbiology. 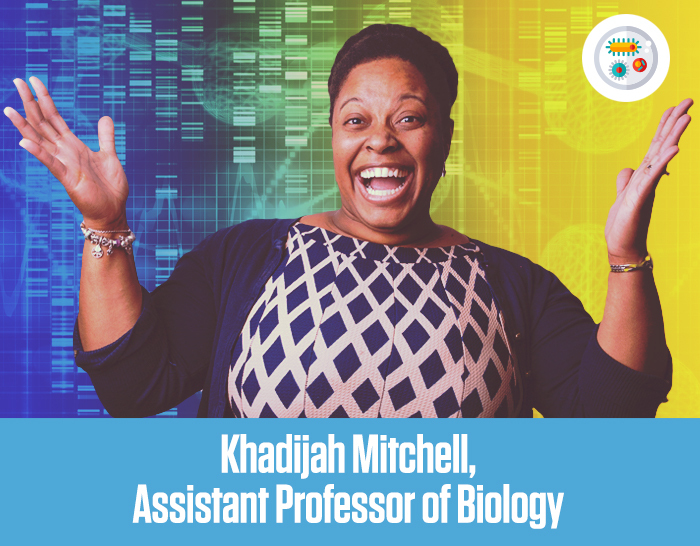 Khadijah Mitchell tells her students you can have a job, a career, or a calling. The assistant professor of biology considers her work as a human geneticist to be her calling. “It’s what I was put on this Earth to do,” she says. “I would do this work for free. I love it.” She’s not exaggerating. Anyone who has interacted with the professor—who is exuberant with a capital E—can attest to her enthusiasm and passion for teaching, mentoring, and researching. Mitchell studies the links among genetics, the environment, and cancer. Much of her work has focused on lung cancer, trying to better understand why African Americans have higher rates of the disease and suffer from more aggressive tumors than Americans of European descent—even though they smoke less. Are menthol cigarettes a contributing factor? Is radon exposure responsible? 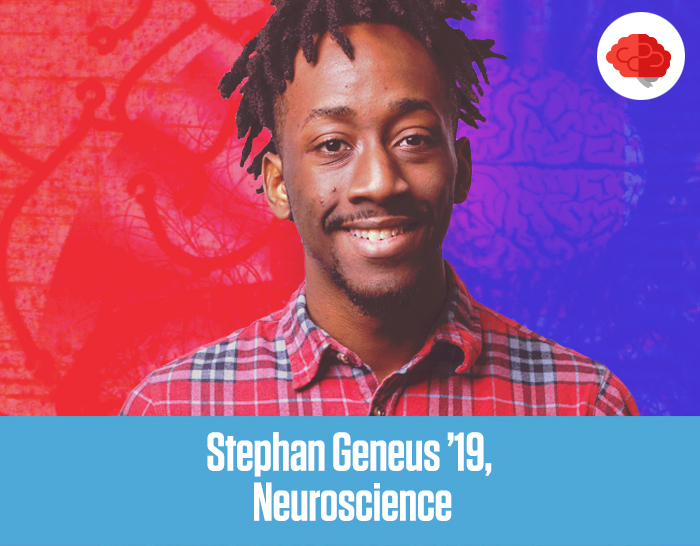 Stephan Geneus ’19, a neuroscience major, has always looked up to his mom, a hospital nurse, and spent many hours shadowing the general surgery team where she works at SUNY Downstate Medical Center in Brooklyn. “I was able to enter the operating room and observe procedures, such as gallbladder removals, laparoscopic mesh implants for hernia repair, and coronary artery bypass surgeries,” he says. When a civil engineer and a microbiologist meet for lunch every week, the possibilities for interdisciplinary research are often on the menu. 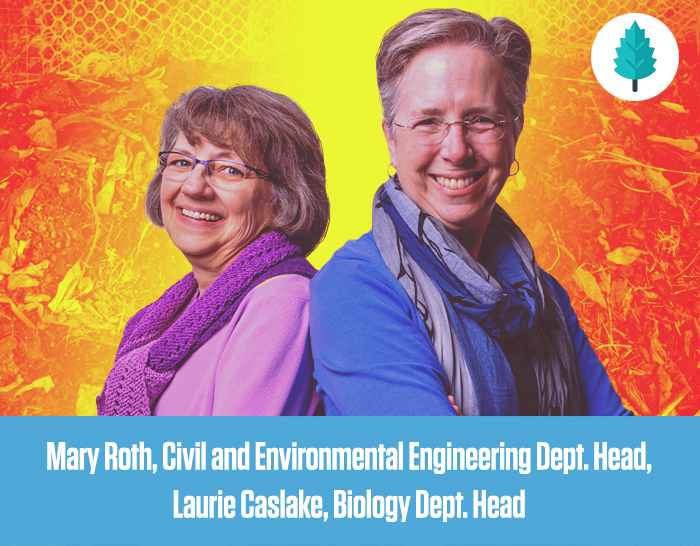 Since writing their first successful National Science Foundation grant in 2003, Mary Roth, head of civil and environmental engineering, and Laurie Caslake, head biology, have been overseeing innovative research involving the use of microbes to change the engineering properties of soils. Their original NSF-funded work looked at the use of biofilm-forming bacteria to improve the strength of soil and, more recently, they have received a grant to see if those same bacteria types might be used to control the seepage of water in soils. The goal is to determine if enough biofilm can be grown uniformly through the soil samples to reduce the flow of water tenfold or more. If they are successful, this approach could be used to help prevent the failure of earthen dams or levees and to help control groundwater flow in areas where the groundwater is contaminated. Roth and Caslake’s 2003 grant was the first funded by NSF in support of a collaboration between a biologist and a geotechnical engineer. In 2015, NSF decided that the potential for new innovations resulting from such partnerships to be so potentially transformative that it funded Center for Bio-mediated & Bio-inspired Geotechnics. This new center has a multi-million-dollar annual budget and is a collaboration of four major research universities. Lafayette, because of the work of Caslake and Roth, is a recognized partner with the center.